Troy Johnstone asks the question " What Is A Good Photograph? "on his blog. He debates the uses of post processing, HDR imaging and arguments by the purists. It makes a good read. Digital Photography School explains the process and uses screenshots to demonstrate the HDR process. 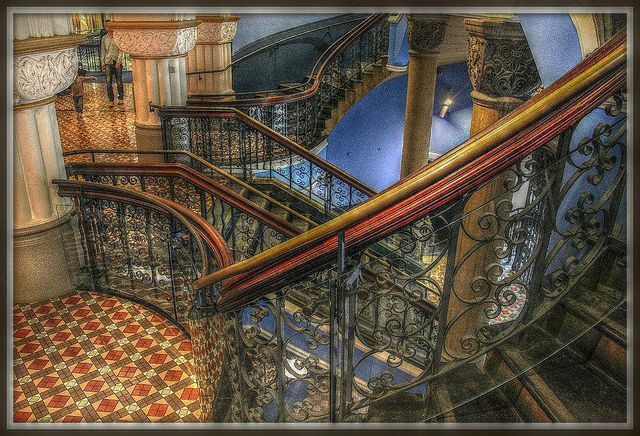 I love the textural quality achieved in tone-mapped images so as with everything to do with photography it once again is up to personal preferences. You can't please all of the people all of the time. I'm thankful I am not a professional photographer who needs to accommodate the demands of clients in order to make a living, so I can make all my post processing decisions to suit myself. I could probably define myself as a selfish photographer - I photograph for me, not for others and as such photography is strangely liberating. The more I think about it, the more convinced I am that we need to coin a new term other than "photography" for the process of capturing what our eyes see and transferring it to the digital or print medium. Photography has evolved to such an extent given the powerful software being continually developed, that it is becoming more an artistic rather than technical process. Almost any given aspect of a digital image can be transformed. Cropping can alter the subject, composition or POV. Post processing can alter both exposure and contrast and convert the image's tonal qualities - from B/W, to Sepia to selective colour or full colour. Backgrounds can be changed, creating a different context for the image, other people or objects can be added, and visual aberrations can be removed. In fact images can be transformed in ways too countless to document completely. Then there is "layering" which allows the simplest image to be converted to something which would make Salvador Dali delirious with joy. I'm not sure what the term should be, but Photography doesn't seem a complex enough term to reflect the complexity of the process. Photog-Art is the closest I can think of at present.